I'm most excited to read Rebecca Donovan's "Reason to Breathe"
Tarryn Fisher and her Love Me with Lies series! I am ready to get my hands on Thoughtless by S.C. Stephens. I have heard so many great things about this book! I am just getting into C.M. Stunich. Can;t wait for Get Bent! Seeds of Hate by Melissa Perea looks like a great read. Thanks for the chance! I've heard really good things about Colleen Hoover, so any of hers that are on the list! This is soooo exciting! Thank You! Congratulations on 10,000!!! Great giveaway! Here's to 10,000 more, cheers! I'm most excited to read "The Mighty Storm." I've heard so many great things about Samantha Towle! AND I would literally cry if I won any of these awesome prizes! I'm gonna go with "The Opportunist" by Tarryn Fisher. I've been slacking with this series! I'm really excited to read M. Leighton. I've heard great things! Most excited about In The Darkness..! I'm looking forward to reading There is No Light in Darkness by Claire Contreras! Thanks for the awesome giveaway!! So many incredible books in this giveaway...thank you for the opportunity to win some of them! I can't wait to read K.A. Linde. Thanks! Im most excited about KA Tucker. I have wanted to read her books and have never gotten around to it. Congratulations!!! I really enjoyed reading Aleatha Romig! The Consequences series is different from anything I've ever read before. But I have some serious love for Jillian Dodd. :-) Got to have my Keatyn. I have yet to read Taryn Fisher's series, so I'm looking forward to that:) Thanks for the giveaway! What an amazing Fing giveaway!! I'd love to read the Opportunist, Dirty Red, and Thief by Tarryn Fisher....I've heard they're good! 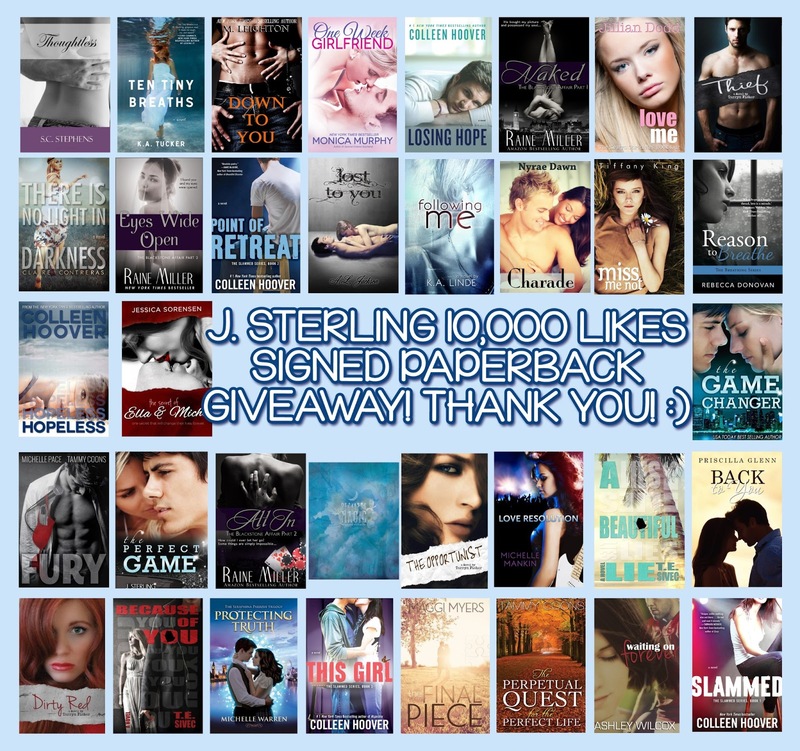 I'd flip out if I won these....Lol Ive read most of them....congrats on hitting 10,000....I'm sure it'll go even higher once people fall for Jack even more! I'm looking forward to reading Raine Miller!!! I've yet to read Thoughtless by SC Stephens - it's at the top of my wish list! Very awesome! I cannot wait to read The Game Changer! I'm most excited for Ten Tiny Breaths. 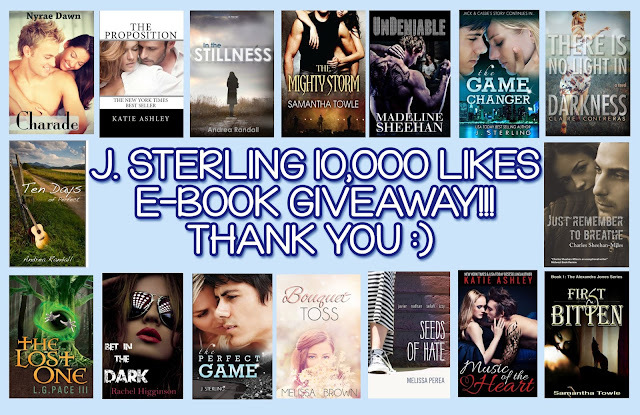 :) Congrats on 10k likes and thank you for the AMAZING giveaway! I have been wanting to read The Mighty Storm, but I REALLY want those J Sterling books!! I'm looking forward to reading yours! Thanks so much! I really want to read Tarryn Fisher's series. I keep hearing about it but haven't read it yet. probably something by you (since I have yet to read your stuff yet) or Tarryn Fisher. Congrats on 10,000 likes!! I'm looking forward to Reason to Breathe by Rebecca Donovan. Thanks for the giveaway!! Kim Karr is my new author - I need to know River gets the girl. I am a sucker for a HEA!!! I cant wait to read Bet in the Dark. FABULOUS! I'm looking forward to a LOT of these books!! :) I think Raine Miller's books ar on my must read list and my new-to-me author list! Congrats on the likes! Thanks for the awesome giveaway!! I can't wait for the next Madeline Sheehan book and Wethering the Storm. Melissa Perea! I am so excited to read Seeds of Hate. I would love to read Seeds of Hate by Melissa Perea. What a great contest! Thanks for putting it together for us!! You Rock!! Congrats on 10,000!! Tiffany King would be a new author for me to read...seriously behind on my reading. Thanks for the awesome giveaway. I'd like to read Naked, All In, and Eyes Wide Open by Raine Miller. There are too many to even start to pick one!!!!!!! How awesome! 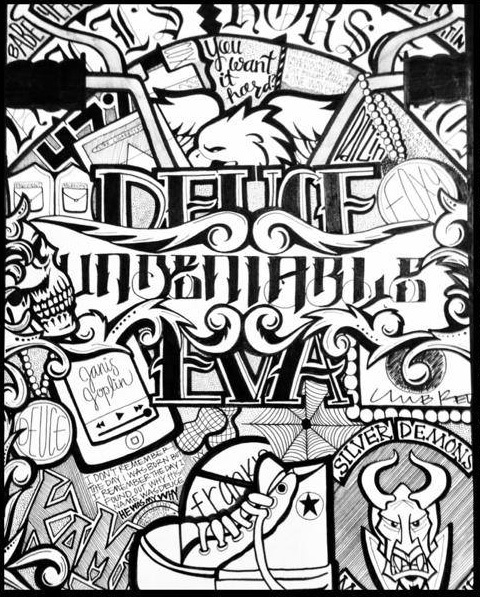 Those doodles are awesome as well as all the other prizes, what an amazing giveaway! Thanks and congrats on 10,000!!! Tarryn Fisher! Haven't read her series yet. I would love to read The Opportunist!!! Oh wow! So many new authors. I'm most looking forward to Rebecca Donovan and Raine Miller's books. Congratulations! So excited...would love to read Thoughtless by S.C. Stephens! WOOHOO! Congrats on 10,000 likes! Thank you for this awesome giveaway- you rock! I love all of your books! Nyrae Dawn is new to me and I would love to dive in to her books. I'm most excited to read Thief by Taryn Fisher! Fantastic give-away! Congrats on 10k! New to me author, there are a few. Thoughtless by S.C. Stephens and Hopeless by Colleen Hoover are the two I've been wanting to read most. I have been needing to read Madeline Sheehan's books!!! Maggie Myers- That Final Piece! I can't even begin to choose, they're all amazing, and all on my to be read list. it's a mile long! Congrats Jen! That's awesome!!! & what an amazing giveaway! fingers crossed i get picked! I still haven't read This Girl by Colleen Hoover and also Thief by Tarryn Fisher! I am ready to read the Game Changer! Thanks for the giveaway! tHIS IS AN AMAZING OPPORTUNITY BEST OF LUCK TO EVERYONE!! The ones that I am most excited about that are new to me are Katie Ashley & Raine-Miller Thanks for the giveaway! I've heard so much about SC Stevens' Thoughtless series! I really want to check it out! All of these look amazing and even if I don't win, I plan on looking into buying all of these. Sweetness! Prize #1 might get my reading groove on for a week or two... but it would be aahh mazing! I really want to read Down to You by M. Leighton. 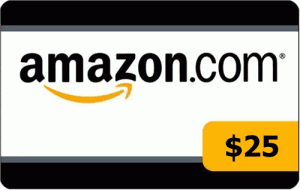 This is such an amazing giveaway!!!!! Awesome giveaway! I've only read half of those books. Would love to read the rest!! Fantastic giveaway! I've heard amazing things about Tarryn Fisher and would love to finally read her books. I'd love to read Rebecca Donovan's "Reason to Breathe"! There are so many books I want to read on this list! I have been wanting to read One Week Girlfriend by Monica Murphy for a while though. I just keep getting distracted by other books and 2nd books! 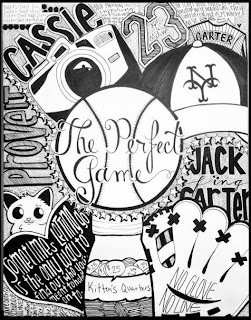 Im most excited about J Sterling's The Perfect Game & The Game Changer! K.A. Linde,Colleen Hoover,S.C. Stephen are all authors that are on my to be read list and have been looking forward to reading their books. I am most excited to read Seeds of Hate by Melissa Perea!! Thank you for the chance to win. I'd probably most like to read Raine Miller's books, or M. Leighton. Excited to read from Gail McHugh and KA Linde! Wanting the Hopeless series, Breathe series and Slammed....got super excited when I saw these on the list to giveaway!! I don't normally do contest but this one looks awesome! But will always keep Jack and Cassie and #1!!! I can't choose, there are so many amazing books here! It is definately Tarryn Fisher and THIEF!!!! Congrats on 10,000 likes! I love your books. 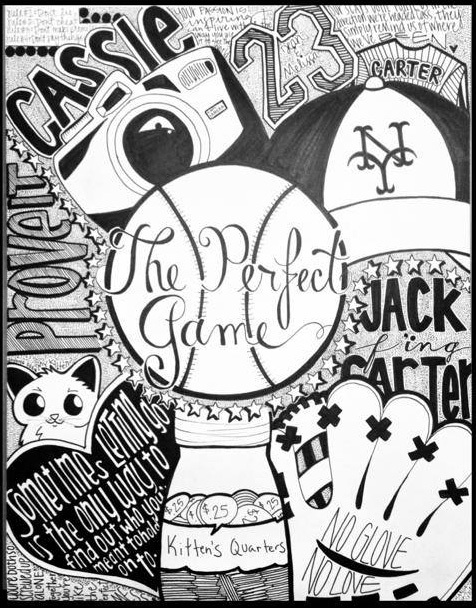 The Perfect Game is what got me into reading new adult romance. Right now I am dying to read "Thief" by Tarryn Fisher and "This Girl" and "Losing Hope" by Colleen Hoover. Congrats, I would love to read Monica Murphy's novels One Week Girlfriend!!! I keep hearing great things about "Dirty Red" and would love to win a copy to read! Thanks for the opportunity and congrats! I haven't read any Priscilla Glenn or Monica Murphy books yet, but really want to. Got to be Katie Ashley!! I have heard so many great things about her books! I am looking forward to Tarryn Fisher and The Opportunist, Dirty Red & Thief! This is awesome! I wouldn't mind winning any of these prices. What a great contents! Rebecca Donovan's "Reason to Breathe"
I want to read Madeline Sheehan...I have had her on my TBR before but haven't read it yet. They all look like great reads! thanks for the giveaway! im excited to read Ten Tiny Breaths and Following Me by K.A. Linde! 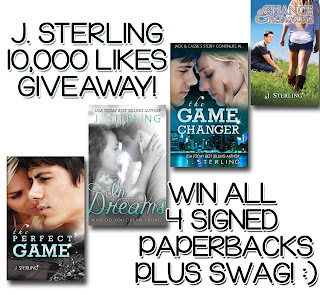 The books by J Sterling, of course! I have yet to read any Jillian Dodd! The Colleen Hoover books....have been on my list but havent bought them yet. Thanks! Ten Tiny Breaths! I've heard it's amazing! Thanks for the amazing giveaway! Congratulations on 10,000!!! I am looking forward to read A Beautiful Lie & Because of You by T.E. 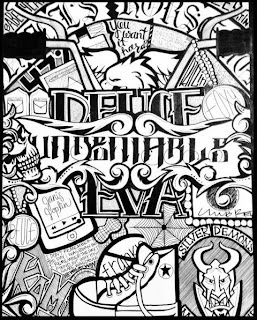 Sivec. Monica Murphy One Week Girlfriend! Awesome giveaway. Thanks for putting this together and congrats on the 10,000 LIKES!!! I would be in heaven if I won! I love having print books but can never buy them! This would be so amazing! I love all these authors. There's so many books that I want to read that I would never be able to pick just one. I've had Back To You on my TBR list for ages and haven't read it yet, so I'll say that book. But, I'm also dying to read The Game Changer. I love The Perfect Game and cannot wait to finish their story! I'm sooo excited to read Love Me by Jillian Dodd!!! wooooooo!!! what an amazing giveaway!!! There are so many good authors in this list. A fantastic giveaway! If I won I would read Dirty Red and Thief first as I haven't yet read part 2 and 3 of that series. One Week Girlfriend- Monica Murphy. Congrats on 10,000 likes!! If I win this I will cry like a baby. And I'm obsessed with Colleen Hoover Books. Awesome for 10,000 likes!! Way to go! Most excited about Charade by Nyrae Dawn, heard awesome things about it! You're awesome. Congratulations on 10,000 likes and thank you so much for hosting this amazing giveaway. Wow - this is the first large Raffelcopter giveaway where I was already a fan of every single person on it! I would love to win any of these prizes, they are awesome! Congrats on the 10k likes!